My wife and I spent a glorious week on the west coast of Canada’s Vancouver Island, taking in scenes like this. I used a graduated density (darkening) filter to accurately record the sky, which was much brighter than the water. Nikon D7100, tripod. Exquisite composition, so much texture in the water. 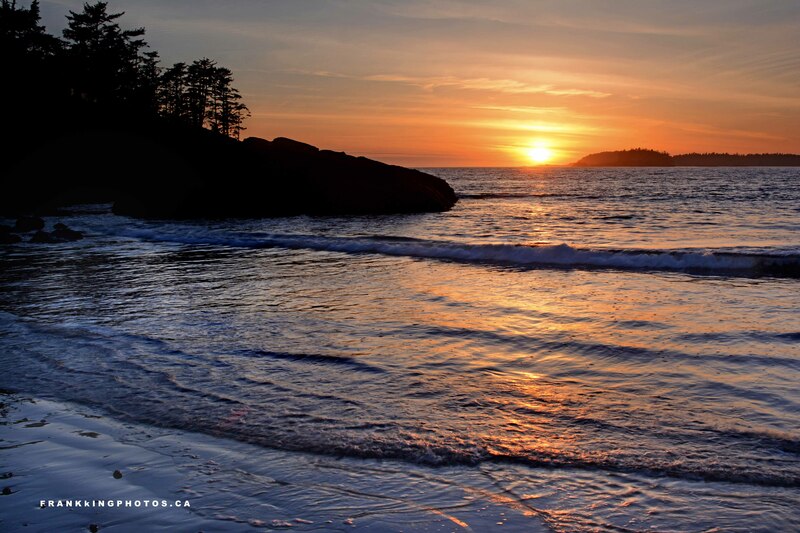 I saw some of the most beautiful sunsets on Chesterman Beach this summer. What an awesome spot!